We take a step into the first day of U.S. Marine Corps training. 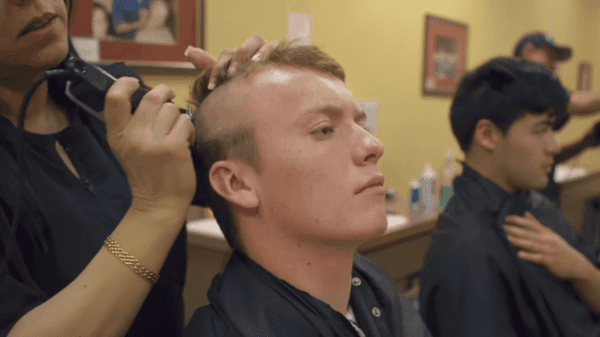 We see recruits on their first day, from the first step they take off the bus to the time they receive their “free” haircuts. 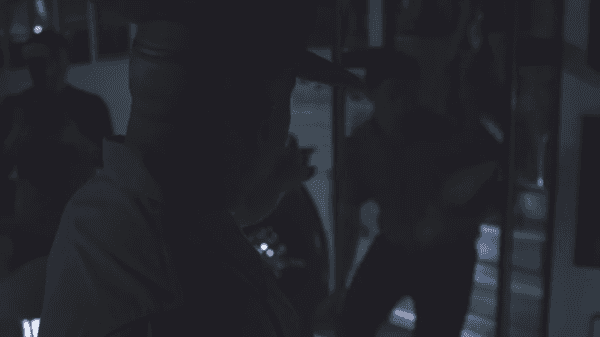 This video features the contraband room, where recruits are told what items are considered contraband and turn out their pockets to dispose of any of those items. 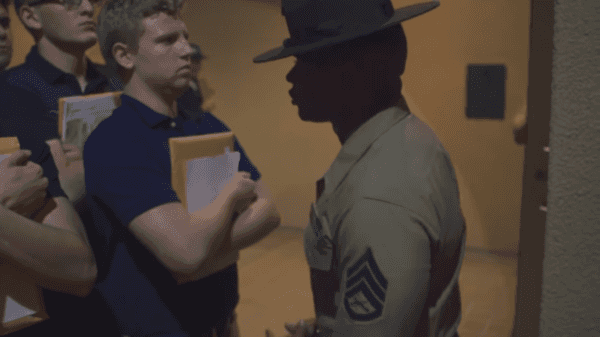 This video features Marine recruits struggling to adapt to their new lifestyle, drill sergeants whipping them into shape and of course, plenty of yelling! Bootcamp for the United States Marine Corps, which is officially called “Recruit Training” is a 13-week program and prerequisite to serve in the Marines. There are two Marine Corps Recruit Depots, which are in San Diego, California and Parris Island, South Carolina. All individuals who enter the Marine Corps as enlisted go to one of the two Recruit Depots. The Marines are known to have some of the highest training standards of all the military branches. To meet these standards, recruits must prove that they can withstand extreme mental and physical conditions. The physical test is known as the Physical Fitness Test, which for males includes running for three miles in eighteen minutes or less, doing twenty pull ups, and doing 115 crunches in two minutes or less for a maximum score. There are a variety of different courses, training, and programs that the recruits must complete during boot camp. Recruits must complete an eleven-station obstacle course called the Confidence Course. This course focuses on activities that build confidence while focusing on upper body endurance. Another program that recruits must complete is known as Physical Training, or PT. This program consists of a variety of highly demanding exercises consisting of running, circuit courses, and obstacle courses. The recruits must also complete the Marksman Training, which focuses on marksmanship with the M-16-A2 rife. The recruits are introduced to the various shooting positions such as sitting, kneeling, prone, and standing. The recruits are trained on how to operate the rifle in an assortment of extreme conditions. Those are just a few of the many programs that the recruits must go through during the rigorous Marine Corps Recruit Training. Make sure to watch the video below as it gives an interesting look, into the strict and disciplined the environment that the recruits are put through during boot camp. Only the strongest make it through Recruit Training to serve in the Marine Corps.